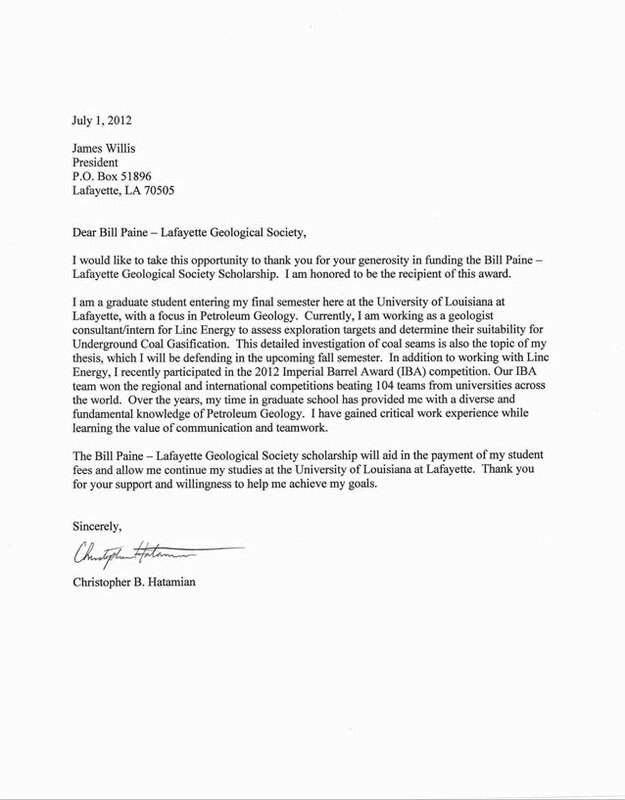 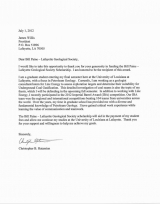 The Lafayette Geological Society has established endowment scholarships honoring Joe Battle and former ULL Geology Professor William R. Paine. 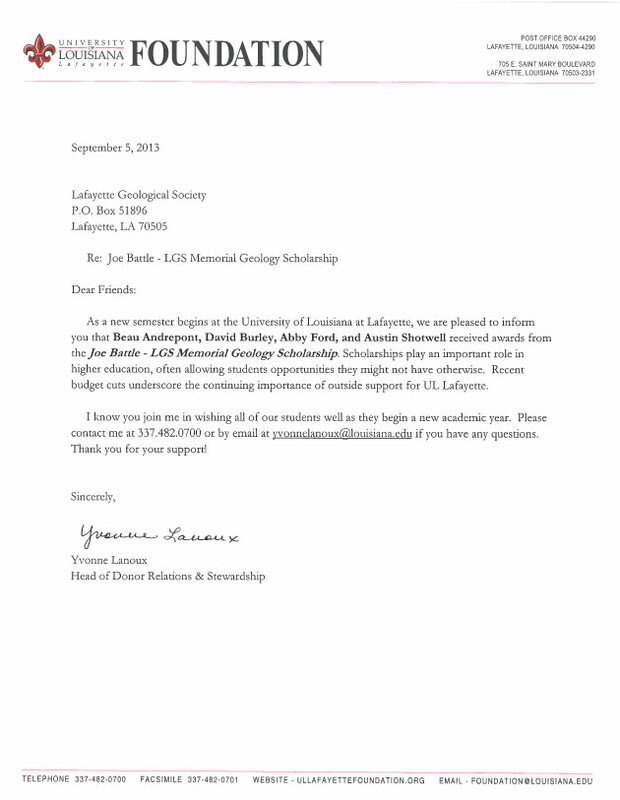 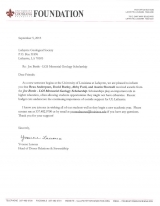 These endowments continue to award cash scholarships to deserving ULL geology students each year. 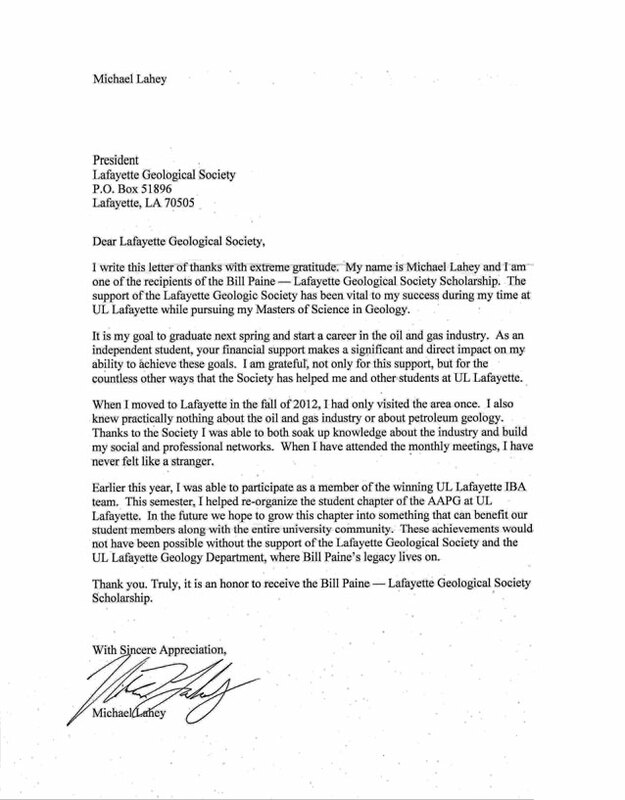 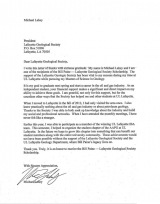 In the Spring of 1998, the AAPG accepted the ULL Student Geological Society as a Student Chapter of the AAPG. 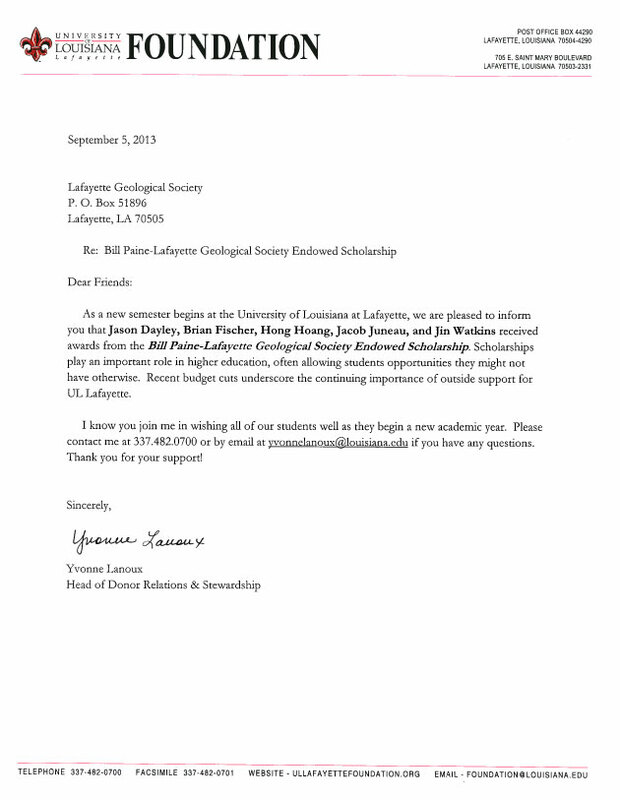 William Terrell, LGS student liaison, and Brian Lock, Ph.D., ULL faculty sponsor, were the first members to assist the student chapter. 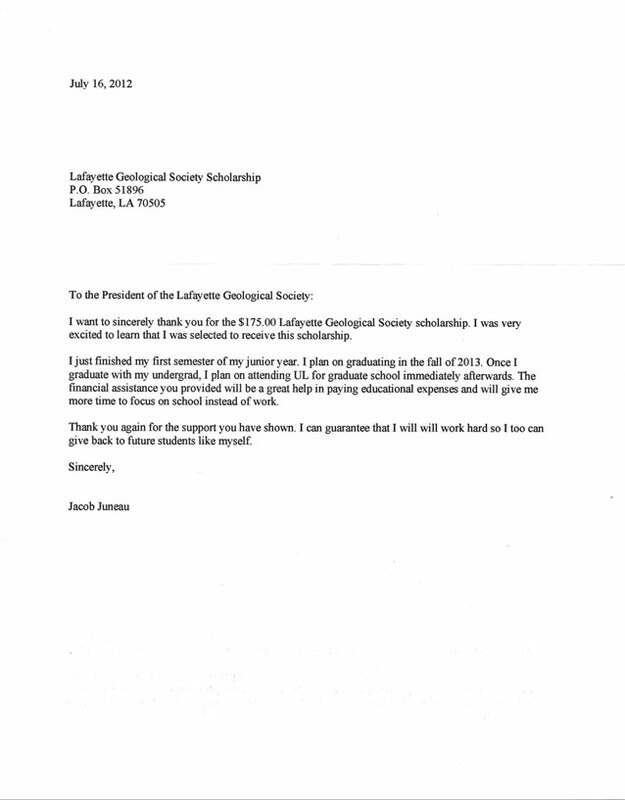 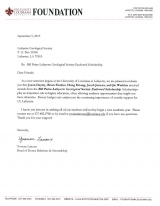 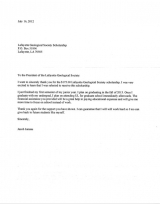 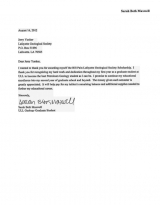 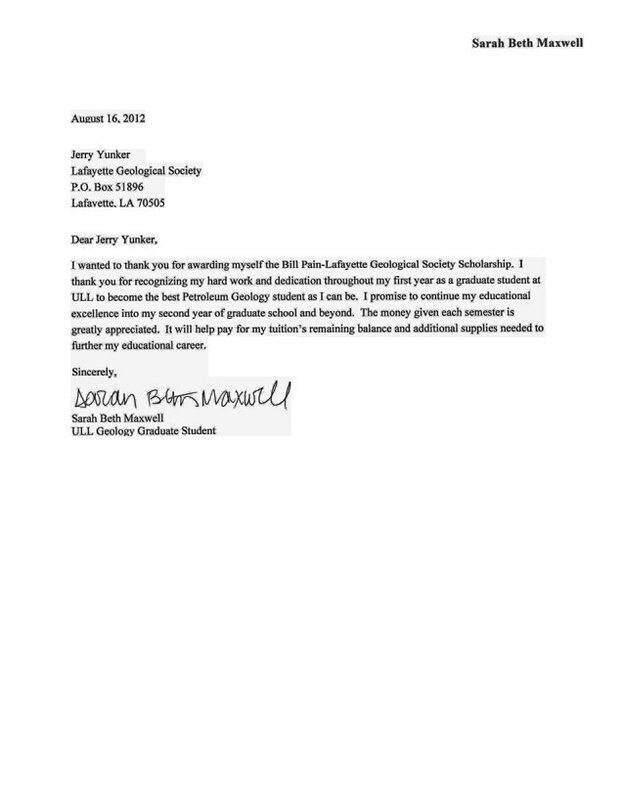 We are proud to present thank you letters from our well-deserved scholarship recipients.